The Swiss manufacturers invented new natural colours for well-known products – chocolate and wine. 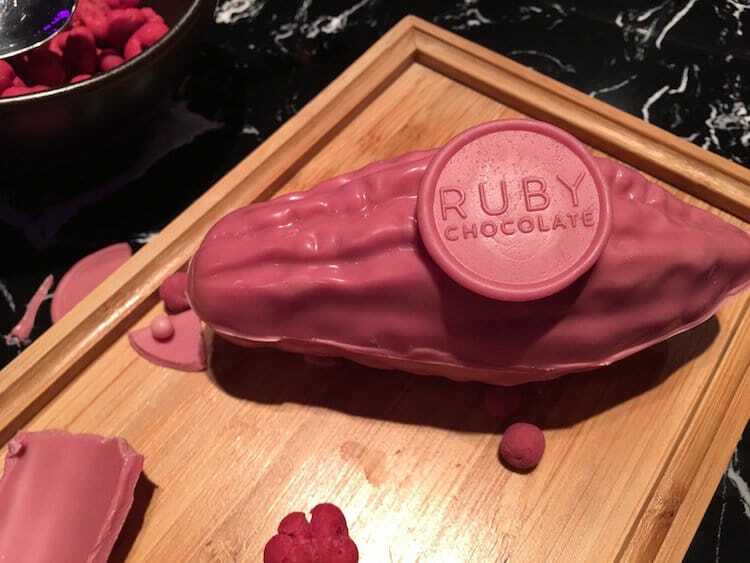 The new “ruby” chocolate joined the other chocolate varieties – dark, milk, and white. It is the first new chocolate colour since the introduction of the white chocolate 80 years ago. Pink chocolate is produced from ruby cocoa beans, which give their distinct flavour and colour. Blue wine, another unusually coloured product, gains its colour from the grape skins. The colour is all natural but intensified. Read more on the story here.